The 120,840 acre Kaibab-Paiute Reservation is located on the Arizona Strip, just north of the Grand Canyon. The Reservation was established by the Executive Order of June 11, 1913, and the Executive Order of July 17, 1917. 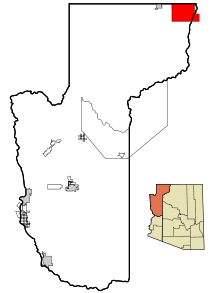 240 people live on the Kaibab Reservation and 84.6% are Native American. Reservation lands have natural springs and several ephemeral washes that feed into the Colorado River. Surface waters on the reservation are produced by spring run-off and, to a limited degree, by Kanab Creek. The Tribe’s total water demand in 2000 was estimated at approximately 56 afa. The Tribe has a Water Resource Program which oversees the Public Water System serving the region. The tribal Environmental Department and Wildlife Department also influence local water uses. Pipe Spring (now Pipe Spring National Monument) used to be a source of traditional water. Now, as a National Monument, is a local tourist destination, including interpretive trails and historical education programs. Fishing and recreation on Two Mile Lake are sources of revenue for the Tribe. The Lake is stocked annually by the U.S. Fish and Wildlife Service with trout. Traditionally the Tribe would build two earth dams along the creek to create pools for livestock, recreation, and as a source of blue gills. Two Mile Lake was built in 1960s and has been a tourist destination ever since. Many local businesses owned and operated by the Tribe utilize water resources. Businesses include a visitor’s center at Pipe Spring National Monument, a convenience store/gas station, and an RV park and campground. Water is also used for local agriculture, including a 1,300-tree fruit orchard. The Tribe’s economic development is largely centered on tourism and livestock. Pipe Spring remains the Tribe’s main source of water for all activities. The Tribe receives 1/3 of the amount of water pumped from the Pipe Spring National Monument and exchanges a portion of its allowance to the National Park Service in return for potable water. This arrangement is embodies in the 1933 National Park System’s Regulations for the Division of the Waters of Pipe Springs agreement. It states that the Pipe Spring water is to be divided: “one-third to the Pipe Springs National Monument, one-third to the Indians of the Kaibab Indian Reservation, and one-third to the stockmen…”. A well was drilled near the Monument in 1972 to aid in supplying the growing demand of the Tribe. The amount of this water is monitored by meters and allocated as flow is determined. Pipe Spring has been under careful surveillance ever since flows began to decrease in the 1970s. Two springs, Spring Room and Main Spring, ceased discharging any flow in 1999. Serious water quality concerns arose as a result of these decreases in flow. Quarterly monitoring of the spring was established to test for quality. Beyond Pipe Spring, the Tribe has been participating in ecosystem management of Glen Canyon Dam, and has been an active member in the Glen Canyon Dam Adaptive Management Program, putting together a report of the cultural impacts of the dam. The Tribe has also been active in the discussion of the Lake Powell Pipeline Project which has the potential to cross the Reservation or ancestral lands. As of 2012, the Tribe has been reported to have met with Arizona Department of Water Resources to discuss the Tribe’s water claims and the possibility of the ADWR addressing those claims. The results of those discussions are not yet public. #1 North Pipe Spring Rd. 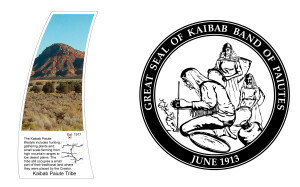 Kaibab-Paiute Tribe, Inter Tribal Council of Arizona, http://itcaonline.com/?page_id=1166. U.S. Census Bureau, 2010 Census, http://factfinder2.census.gov/faces/tableservices/jsf/pages/productview.xhtml?pid=DEC_10_DP_DPDP1&prodType=table. 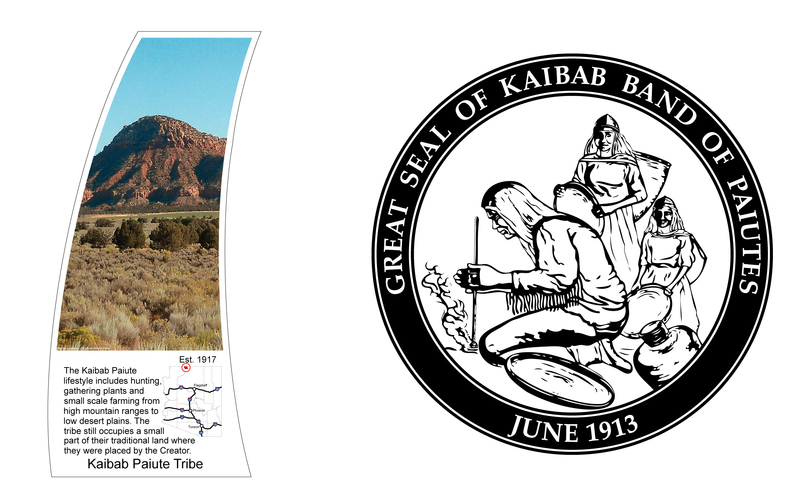 Kaibab-PaiuteTribe, Northern Arizona University, Center for American Indian Economic Development, http://www.cba.nau.edu/caied/tribepages/Kaibab.asp. Dave Sharrow & Lynn Cudlip, Appendix M. Summary of Water Quality and Quantity Vital-Signs Workshop, NCPN Monitoring Plan, M-12 (2003).